In this part we will explore the meaning of the 47th Shloka of Sri Vishnu Sahasranamam. Bhagavan gets whatever He wills and never despondent. He is Immense which He showed in his Vishwaroopam. He supports and sustains the Earth and also the upholder of Dharma. He is the goal from the greatest sacrifices as He bestows the Ultimate fruit of all actions i.e. Moksha. 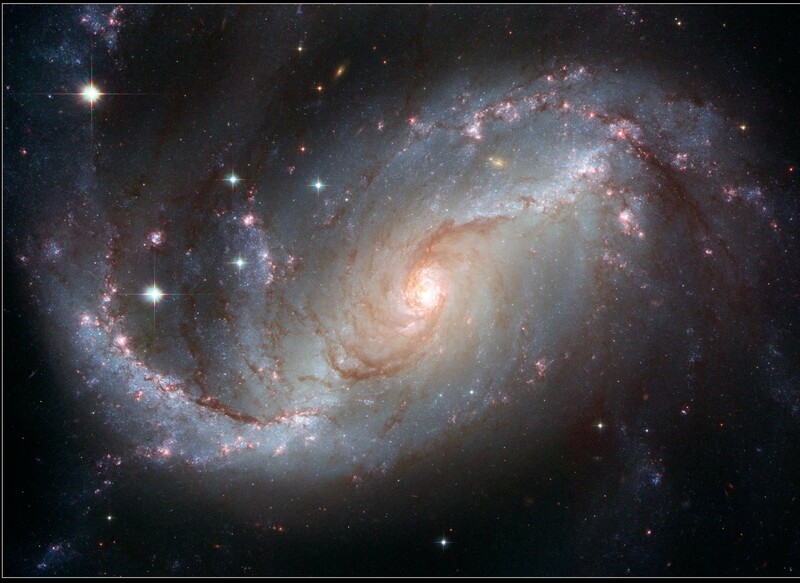 He is the hub of the Shimshumaara constellation and moves them with his centripetal force. He is proficient, patient and eternal. After Deluge, He alone remains and commences the process of Creation yet again and establishes all the Devas (Indra, Brahma etc.) in their respective positions. He works towards the welfare of His Creation with great enthusiasm and He is their well-wisher. Sri Adi Sankara gives the interpretation that He is never despondent because He gets what He wills. Sankara interprets this as ‘Aaptakaamatvaat Nirvedah asya na vidyate iti Anirvinnah – He is free from depression because he has achieved all his goals’. Nirvinnah is frustration or depression which comes to someone who is unable to fulfill what he sets out to achieve. Obviously it is not the case with Bhagavan who is ‘Siddha Sankalpah – He achieves what he wills’. So he is called Anirvinnah the ever satisfied one. Sri Parasara Bhattar explains this by indicating that Bhagavan does not become despondent even though all His Creations do not resort to Him for redemption. He goes on creating repeatedly in the hope that they will meet His expectations in their next life. Meaning: You received marks on your body from being bound by a rope by Yashodha and got scars as a result of fighting the mighty snake Kaliyan; despite that you enthusiastically go about creating this world with an undiminishing seed that unfolds into all the variegated forms! And yet who realises your original form? The term Anirvedah is also used to explain this Nama – One who is not despondent or in despair. We have also seen Bhagavan being called Mahotsahah (Shloka 18, Nama 173) denoting his indefatigable and enthusiastic spirit. The Dharma Chakram writer points out that just as the heart keeps beating ceaselessly in order to keep us alive but eases in between the beats, so does Bhagavan. He is engaged ceaselessly in sustaining this world while being restful or relaxed. If we do our karmas with a Sattvic attitude there will be never any despondency, but if we do our karmas either with the Rajasic or Tamasic disposition, we can get easily depressed when met with disappointments. This is the lesson one should take from this Nama. Sri Adi Sankara explains this name as ‘Vairaaja roopena Sthitah Sthavishtah – He has manifested in his mammoth cosmic form or Vishwaroopam’. Though it is his underlying form, he reveals it only to a select few and at select times. Meaning: The Fire is his head, the Sun and Moon are his eyes; the dimensions of space his ears; his speech emitted the Vedas, the air is his breath; all existence his heart. From his feet emerged the earth; He is verily the inner consciousness of all beings. He is Immense. The Dhyana Shlokam 2 of Sri Vishnu SahasraNamam contains ‘Bhooh Paadau yasya Naabhih Viyadasura nilaschandra sooryau ca netre..…Vishnumeesham Namaami’ gives a detailed description of his cosmic form. The author of Nirukti explains this Nama as “sthoulyaat sthavishthah – Sthula means large, immense or huge. Sri Parasara Bhattar explains this sthoulya in terms of the huge grouping of stars referred to SishuumAra in Vishnu Purana 2.9.1 – Tara-mayam bhagavatah Shimshumaaraakritih prabhoh – The form of the mighty Hari which is present in heaven, consisting of the constellations like a porpoise with Dhruva situated at the tail end. Sri V.V. Ramanujan observes that this constellation is revolving constantly like a Chakra, and is being continually drenched by the Ganges flowing from the Satya Loka to this Earth. This Nama is a reminder that Bhagavan is constantly striving to rejuvenate and sustain the beings of this Universe. Sri Radhakrishna Shastri describes Bhagavan in this great form of Shimshumaara, the Gangetic porpoise, with all the devas as part of His body – Tasmai Namas-tac-chiro dharmo murdhAnam brahmottarA vishNur-hridayam…..sa va esha divyah Saakvarah Shimshumaarah. He also refers to Srimad Bhagavatam (2.1.24 – 2.1.38) that describes the Planetary System in the form of Shimshumaara starting with Visheshas-tasya deho’yam sthavishthaSca sthaviyasaam. 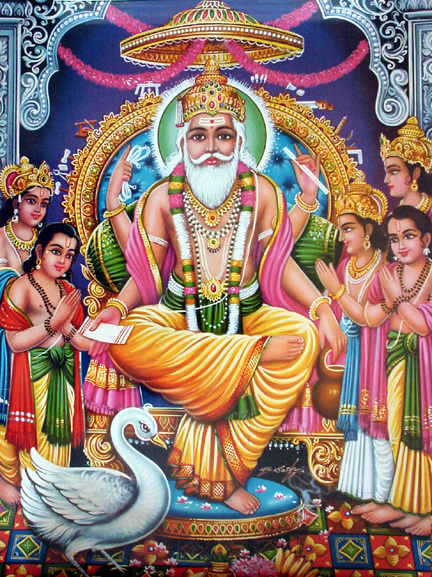 Here He is described as Sthulasyam Sthulah (Shloka 24) meaning the humungous amongst the giants and as Sthavishthe Vapushi (Shloka 38) meaning He is huge in this form. The word ‘Bhu’ means Earth and ‘Bhu bhav’ means ‘to be’ i.e., He who exists, without any other support. Thus one interpretation is that this refers to One who exists eternally, unlike all other beings which have a temporary existence in a bodily form. Sri Parasara Bhattar describes Bhu in the context of it as a support for all the stars in Shimshumaara referred to in the previous Nama. 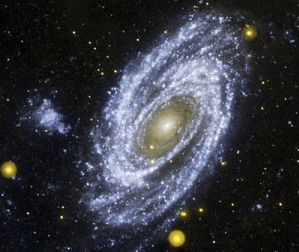 The Vishnu Purana passage quoted in the previous Nama says that Dhruva is in the tail end of the Shimshumaara group of stars, and as Dhruva spins, all the other stars spin with it, and is thus the supporter of the Shimshumaara constellation. Since Dhruva is a form of Bhagavan, Bhagavan is thus the supporter of all the stars of Shimshumaara. Sri Adi Sankara interprets this in two ways ‘Abhuh’ and ‘Bhuh’. Sankara explains Abhuh as ‘Ajanmaa Abhuh – One who is never born’. Bhuh is explained in two ways ‘Bhavati iti Bhuh Mahee vaa – He exists so he is Bhuh or he symbolises the Earth hence He is Bhuh’. Meaning: I sustain and support the Earth effortlessly. 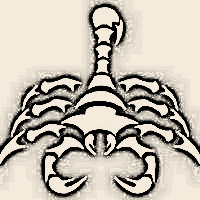 Meaning: You supported the Meru Mountain on the serpent all by yourself, the earth with Adisesha and the elephant heads! O’ my Lord on serpent couch AdiSesha! The waters from the sky, the clouds above, the fire, the wind that animates all life, You alone can do this feat! The word ‘Ryu – Mishrane’ means ‘to join’ and Yupa refers to a post, e.g., a post to which an animal is tied. Here it refers to Bhagavan being the exemplar for all Dharmas. The implied meaning is that Dharma is supported and held in place by him. He is the yardstick or reference point for Dharma. 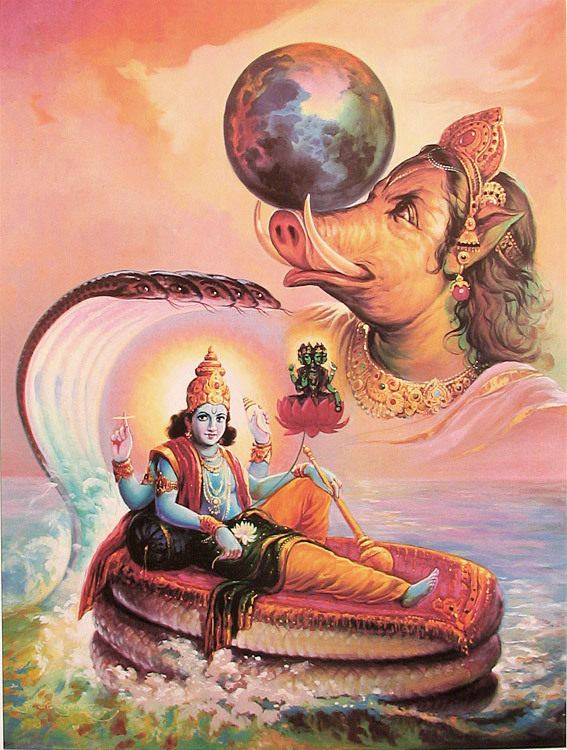 Sri Adi Sankara interprets this as ‘Yoope pashuvat Tatsamaaraa dhanaatmakaa Dharmaah tatra badhyante iti Dharmayupah – He is the peg to which Dharma is tied. Sri Parasara Bhattar’s interprets this as – Dharma-tattvam Sirah avayavataya yauti iti Dharma-yupah – He in whom Dharma is united as part of His body viz. head. The Taittiriya Aranyakam says “tasmai Namas-tac-chiro Dharmah” – He who’s Head is Dharma. Sri Bhattar quotes “Dharmo Murdhanam Ashritah – Dharma rests on His head and is His most important responsibility. Sri Satyadevo Vasishtha gives a different explanation for this Nama. Dharma is what sustains – Dhaarayati iti Dharmah. The Pancha Bhoothas serve the purpose of sustaining life in this world. Since Bhagavan unites the Pancha Bhoothas which sustains life in this world, He is Dharma-Yupah. The Dharma Chakram writer observes that Dharma and Bhagavan are not distinct. This Nama should remind us that those who follow Dharma are always protected by Bhagavan. Bheeshma advised Duryodhana when he had to fight by the side of Duryodhana, that there was no way the Pandavas can be defeated as Dharma was on their side. Dharmo rakshati rakshitah – One who acts in accordance with Dharma is protected by Dharma. 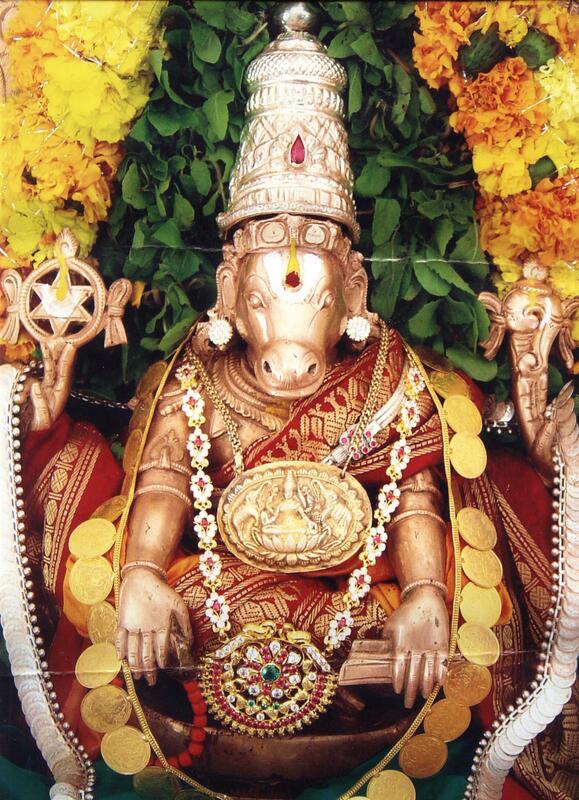 Sri Adi Sankara interprets this as ‘Yasmin arpitaah Makhaah Yajnaah Nirvaanalakshanaphalam prayachchantah mahaantah jaayante sa Mahaamakhah’ – The sacrifices offered to him are great as they give liberation or Moksha, the greatest possible outcome to the performer, hence He is called Mahamakhah. Sri V.V. Ramanujan points out that Bhagavan is yajna-svarupan. This can be best understood from Sri Satyadevo Vasishtha’s explanation that yajna when properly completed gives the desired result. The word ‘makhah’ refers to yajna, sacrifice, or sacrificial oblation. Bhagavan is the Maha-Makhah since He bestows the ultimate benediction of Moksha on them. Another explanation is that Dharma is the greatest yajna (yajno Dharmashca vijneyah), and since Dharma is His head, He is Himself the great sacrifice personified (Maha-Makhah). Goroba Kumbhar (a.k.a. Gora Kumbhar) was a potter by profession and is stated to have been born in 1267 CE in the village Terdhoki. Goroba was a contemporary of Sant Jnanadev and Namdev. He used to make his living by making and selling clay toys. Goroba would be chanting and singing glories of Lord Vitthala even when he is stamping and pounding the clay for making toys. His heart was brimming with love for Panduranga. He used to make toys like Vitthala, Rukmini, Rama, Krishna; colour them and take them to the market. At the market place he would not quote a price for the toys. He would accept the money that was given to him and would return home happily. He lived with his wife Tulasi Bai and their toddler son Hari. One day Tulasi Bai was carrying Hari and feeding him. Hari refused to eat the food as the food was spicy. Tulasi gave him the push cart and went into the house to get some water. Goroba was busy singing the glory of the Lord as he was stamping and pounding clay in the pit. He was chanting “Vitthala Vitthala Panduranga Vitthala” and dancing in the clay pit with his arms up in a reverie. Petrified by the sounds of thunder the child Hari crawled up towards Goroba and held on to his feet. 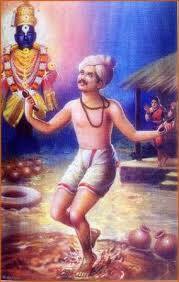 Goroba was unaware of the child holding his feet and he continued dancing totally enchanted by Lord Vittala and was chanting ‘Vitthala Vitthala Panduranga Vitthala’. The child fell into the clay pit, Goroba without taking notice continued to stomp the clay with the child stuck in it. Unfortunately, the child was crushed to death by Goroba’s pounding. Tulsi Bai called out to her husband and enquired about her son Hari. Goroba was still chanting and dancing “Vitthala Vitthala Panduranga Vitthala” and Tulasi Bai vigorously shook him out of his trance. She cried to him about her missing son Hari. Goroba then replied to her saying Hari is everywhere; He was still in a euphoric state of mind not realising that she was talking about their son Hari. She wailed and explained that their son was not to be found; he simply said that he had seen him playing there a little while ago. They searched for him everywhere and suddenly Goroba found a little leg sticking out of the clay pit. Shocked, he gently removed the child from the pit and realised that he was dead. Tulasi Bai began abusing her husband and blamed him for the death of their son. Goroba pacified her by saying that it was Vitthala who had blessed them with a son and now He has taken him back as He wanted him. He also said that she should not worry as he will attain moksha as their son was listening to Lord’s glory. Tulasi Bai was now livid by his calm talk and said that the son was lost only because of his Vitthala and she threatened to break the Vitthala statue and picked up an axe. As soon as Goroba heard this he started chasing Tulasi Bai pleading with her. In her bereaved state she asked him to promise that he would never touch her again. On hearing this Goroba said that he would not touch her any more. A year passed by and Tulasi was very sad, lost in thoughts of their child Hari. Tulasi knew that there was no way she could bear a child with Goroba due to the promise and hence decided to get her sister Shanthu Bai married to Goroba. The marriage took place in Tulasi Bai’s parent’s house. After the wedding, as Goroba was leaving to his house with Tulasi and Shanthu, their father who was not aware about the promise Gorabha made to Tulasi came to Goroba and said that, he should treat Shanthu Bai the same way he treats Tulasi. Goroba looked dismayed. Seeing his reluctant expression his father in-law felt unsure and asked him to promise on Lord Vitthala that he would treat Shanthu the same way that he treated Tulasi Bai. Gorabha hesitantly reassured his father-in-law. Goroba began treating both equally and refused to touch either of them. Days passed by and one day the sisters discussed within themselves and went in to his bedside while he was fast asleep. They sat on either side of his bed and touched his hands. Goroba immediately woke up and asked Tulasi Bai, how she could touch him after he had made a promise to Lord Vitthala. He then wanted to punish himself for this consecrating act and so he hit both his hands simultaneously on a sharp saw and chopped them off. Both of them started lamenting for what had happened while Goroba consoled them saying that Lord Panduranga was their protector and that He knew what was good for them. Goroba could not do any work now, so both Tulasi and Shanthu would make some pottery, sell them and managed to make just enough money for them to have a square meal a day. Goroba had earlier taken some loans and now all of them wanted him to repay as they knew he could not make toys any more. They got his house and other properties to be auctioned to recover their money. During the auction a young man and his wife came there and bought Goroba’s house, cattle and vessels. The officials then said that the money they got from the sale of these properties was just enough to cover the loan and that there was nothing left to give him. Goroba was happy that he had now cleared his debts while Tulasi Bai looked at Goroba questioningly. He told her that they would go to Pandharpur and that Lord Vitthala would take care of them. As they started from the house, the young man who bought their property in auction came and prostrated to them. He went on to say ‘father and mother you should not leave the house now’. They were perplexed by this and asked him who he was. He then told Goroba that he was also a potter and that his name was Rangan. He told them that he had bought the house in the auction so that they are not homeless. Goroba was moved and said that this was also Vitthala’s Leela and went into the house. Rangan and his wife Rukma Bai also stayed with them as Goroba’s son and daughter in law. From then on Goroba would perform his chanting and singing happily and Rangan would take care of making the toys and Rukma Bai would help Tulasi and Shanthu in their the household activities. Seeing Rangan doing all the work by himself Goroba offered to help Rangan in stamping and pounding the clay as his legs were fine. Rangan shook his head in disapproval and then said that he would do anything to listen to Goroba’s chantings and bhajans. Goroba started singing and Rangan kept his hands on his hips and started stamping and pounding the clay. On seeing this, Goroba suddenly stopped and asked Rangan if he was really Rangan or his Pandurangan. Rangan, told him that Goroba sees every one as Panduranga and that he was only Rangan. Now that Vittala and Rukmini were here in Goroba’s house, sadhus like Namdev and others who had gone to Pandhari who used to speak to Vitthala realised that Vitthobha was not in the temple and the temple looked desolated. A group of saints and sadhus headed by Namdev started searching village by village, singing his praise. The groups of sadhus finally reached the blessed village where Goroba lived. The village people had prepared for their welcome with banners and flags. Seeing this paraphernalia Goroba asked what was happening and they told him that a group of sadhus from Pandharpur along with Namdev, were coming. Hearing this Goroba was elated and started walking towards the group of sadhus. Namadev and Goroba had known each other well as they had met earlier in the Vitthal Rukmini temple on several occasions. As soon as Namadev saw him, he understood that Vitthobha was definitely in Goroba’s house. After the bhajans Namdev asked him where was Rangan. Goroba thought that he was asking about the Rangan at home and told him that he is at home. Hearing this Namdev rushed to Goroba’s house, but Rangan and Rukuma Bai had departed from there. Goroba came running behind him and called Rangan. He asked Tulasi Bai where Rangan was and both started shouting “Ranga Ranga”. Namdev then told him that it was the Great Lord Panduranga and Rukmini who had come to his house and served him like his son. Listening to this Goroba felt bad that he could not recognise him and that he had committed a sin by asking Vitthobha to do all the domestic chores. He started crying and longing for Vitthala. Namdev consoled him and asked Goroba to go to Pandharpur together with his family to see Vitthala. Once they reached Pandharipuram, they sat down at Vitthala-Rukmini temple for singing the glories of the Lord of Pandharpur. The tradition of the temple was that, one pious devotee would distribute jalras to all the bhakthas present there. That day Namdev was distributing the jalras and when he came to Goroba he held his hand to offer jalras to him too. Goroba, like a true devotee, forgot that his hands were chopped off and moved the stumps of his hands as reflex and as soon as he did this Goroba’s hands came back like a leaf that springs up from a tree. Tulasi Bai was exalted on seeing this miracle, she ran to Vitthala, held on to His feet. 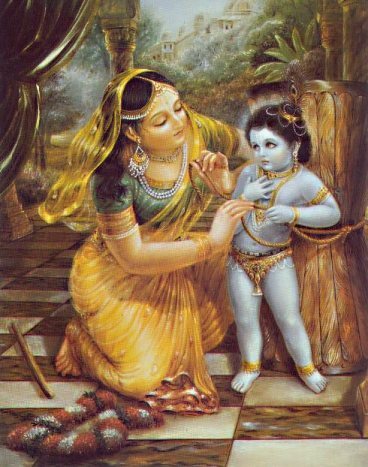 She begged his pardon for blaming Him when she was sorrow-stricken and asked him that if He could give back hands to His Bhaktha he could also give back her son, Hari. She also reminded the Lord that during Krishna avatar he had restored the life of his guru Sandipani’s son as Guru Dakshina, and if the Lord could do that then, He could do it now for His Bhaktha. All of a sudden they all heard a child crying for his mother. Tulasi Bai saw the child and was ecstatic on seeing her son, Hari. She ran and embraced him and thanked Vitthala. This union of mother and the child was an occasion of joy for everybody and the whole atmosphere became electric. On this happy occasion, Rukmini the wife of Panduranga, appeared in a vision and advised Goroba that the oath given to his wife was over and he should accept both his wives and live happily with them. They then returned back to their village happily. Goroba continued to sing the glories of Panduranga till he finally reached the Lords abode. The Samadhi of this great sage is at Terdhoki about fifty miles away from Pandharpur, in the Usmanabad district in Maharashtra. The place where he lived and where the incident of trampling of the child took place, are shown even today in this village. Om Hari Vitthala Hari Vithala, Panduranga Vitthala Hari Narayana! Sri Adi Sankara gives the following elaborate and vivid interpretation of this Nama – ‘Sa Jyotishaam chakram bhraamayan taaraamayasya Shimshumaarasya Pucchadeshe Vyavasthitah Dhruvah. 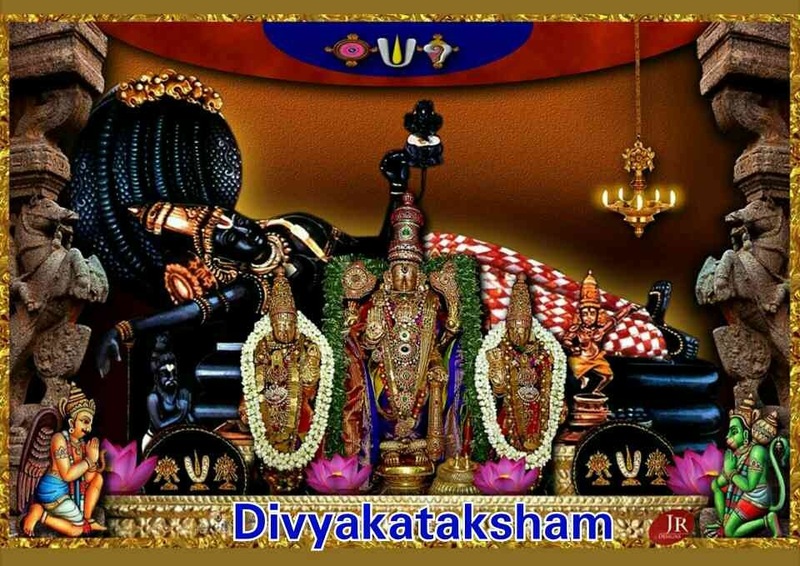 Tasya Shimshumaarasya hridaye Jyotishchakrasya nemivat pravartakah sthitah Vishnuriti Nakshatranemih – Dhruva star regulates the movement of the star cluster called Shimshumaara Chakram remaining stationed at its tail end. At the heart of that system Bhagavan Vishnu resides as if he is the Nemi (hub) of the wheel of the stars, hence He is called Nakshatranemih’. He cites a couple of references in support. The first one is ‘Nakshatrataarakaih saardham Chandra Suryaadayo grahaah Vaayu paashamayaih bandhaih Nirbaddhaah Dhruvasamjnite – The stars moving and fixed, the Sun and Moon are all bound to Dhruva by the bonds of Vaayu’. 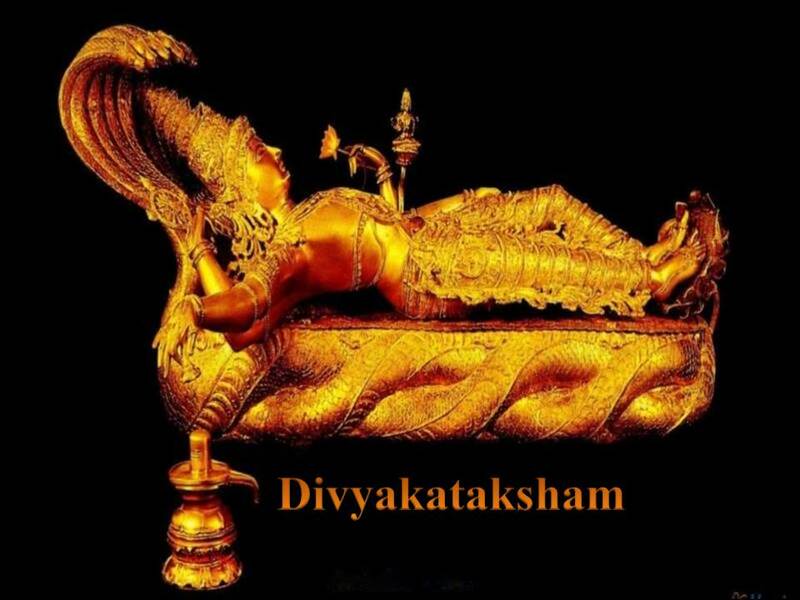 The second one is from Svaadhyaaya Bramhana which says while describing Shimshumaara Chakram ‘Vishnur hridayam – Vishnu is stationed at the heart of the Shimshumaara Chakram’ thus describing Bhagavan as Nakshatranemih. Sri Satyadevo Vasishtha gives the derivation for Nakshatra as ‘na ksharati ksheeyate va’ and the word nemih is derived from the root word ‘Nee’ meaning ‘to lead or carry’. He is the leader of the Sun, Moon and carries them with his centripetal force. Bhramantamanu tam yaanti nakshatraani ca cakravat || 2.9.2. Meaning: As He (in the form of Dhruva) goes round, He makes the Sun, the Moon and other planets revolve. All the stars also follow Him like a wheel as He moves in a circle”. Meaning: The porpoise-like figure of the celestial sphere is upheld by Narayana, who Himself, in astral radiance, is seated in its heart”. Reference to Vishnu being at the heart and centre of the Shimshumaara Chakra and Him being responsible for its movement is also made in the the Svaadhyaaya Braahmana of Taittiriya Shakha. The Dharma Chakram writer reminds us the great importance of this function of MahaVishnu. Even If one of the millions of stars goes off its prescribed path, the consequences will be catastrophic. This Nama should remind us that just as it is important for maintaining the order at the macro level for survival, it is equally important that there is an order at the thought level for our inner calm and peace. If our thoughts are not noble, or if they are not devoted towards the welfare of world but are self-centered, the consequence of such pursuits will result in destruction. Sri Parasara Bhattar explains that His being the Lord and driving force behind Shimshumaara is being referred as Nakshatri with the centripetal force. Sri Adi Sankara interprets this as ‘Chandra roopena Nakshatri – He is called Nakshatri because He is of the form of Moon’. 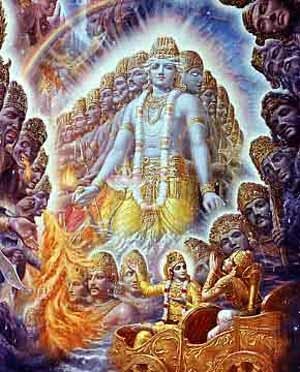 In the Bhagavad Gita (10.21) Bhagavan says ‘Nakshatranam Aham Shashi’ – I am the Moon among the Stars. Sri Satyadevo Vasishtha explains that just as one who has Kshetra is called a Kshetri, so is one who has Nakshatra is called a Nakshatri. He has great patience and easily forgives everybody for their misdeeds when they are truly remorseful. Sri Adi Sankara gives two interpretations. The first is ‘Sarvakaaryeshu Samarthah Kshamah – He is skillful in every activity’. 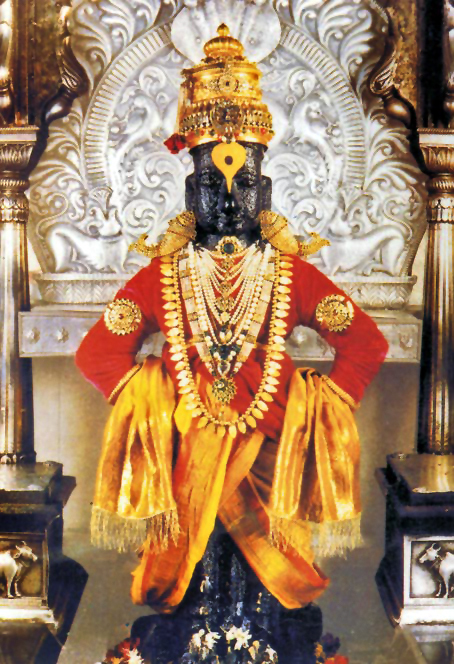 We have already seen that he is both Dakshah and Vishvadakshinah, extremely skilled in every action. The second interpretation for this Nama is ‘Kshamate iti Kshamah – He easily forgives everybody for their misdeeds’. Valmiki Ramayana (1.1.18) says ‘Kshamayaa Prithvee samah – He is tolerant like the Earth itself’. Sri Parasara Bhattar has based his interpretation on ‘ksham-sahane’ meaning ‘to allow, to suffer’. Sri Bhattar says – ‘Akhila bhuvana bhaaram anaayaasena kshamate vahati iti kshamah – He is known as Kshamah because He bears the burden of the entire Universe effortlessly’. The Dharma Chakram writer links the two interpretations nicely by pointing out that in order to be competent and efficient, you have to act with patience. And when we act with patience with the feeling of kripa of Bhagavan, we become efficient. This Nama conveys that in order to be efficient and proficient, we need to act with patience by dedicating the results to Bhagavan and intensify our devotion towards Him. This will get us closer to realising Him. Sri Satyadevo Vasishtha points out that when the Jivas leave the Vedic path and pursue other paths, He does not lose His patience, but instead gives the fruits that are consistent with these actions and gives them more opportunities to amend themselves. In a sense, Bhagavan’s Guna of Kshama is reflected in everything in this Universe, inherently. The individual soul endures all the actions of body for the duration that it, every creation of His endures the extremities to which they are exposed to. Meaning: All the luminaries up to Dhruva disappear, and Dhruva alone remains shining in his place. Sri Adi Sankara explains this as ‘Sarvavikaareshu Kshapiteshu Svaatmanaa Avasthitah – After all his creations or manifestations have ceased to exist during Pralaya, He alone remains as Himself’. In other words he is the final remainder after all eliminations have taken place. Sri Satyadevo Vasishtha gives the explanation that Bhagavan is Kshaamah because He is hidden in everything in this Universe. Another interpretation for this Nama is that Kshaamah is a Pure state that remains after all other thoughts have dwindled. Well-wisher – He who works towards the welfare of His Creation. This Nama is derived from the root word ‘Iha ceshtaayaam’ meaning ‘to aim at, to desire or to strive for’. There are two aspects to striving for something. One is to strive by oneself, and the other is to make others work, hence there are two different interpretations given for this Nama. Sri Parasara Bhattar’s interpretation is that after Pralaya or deluge, Bhagavan restores all the other Devas to their respective positions and enthusiastically begins to Create the world yet again – Sameehayati iti Sameehanah. Sri Adi Sankara interprets this as ‘Srishtyaadyartham Samyak Eehate iti Sameehanah – He earnestly engages in the Creation and other activities relating to the Universe, hence He is called Sameehanah’. He is a Well-wisher for His Creation – Srityaadi artham samyagihata iti Sameehanah. Veruppinri gnaalathu mikkaar mevit thozhummmi neere. 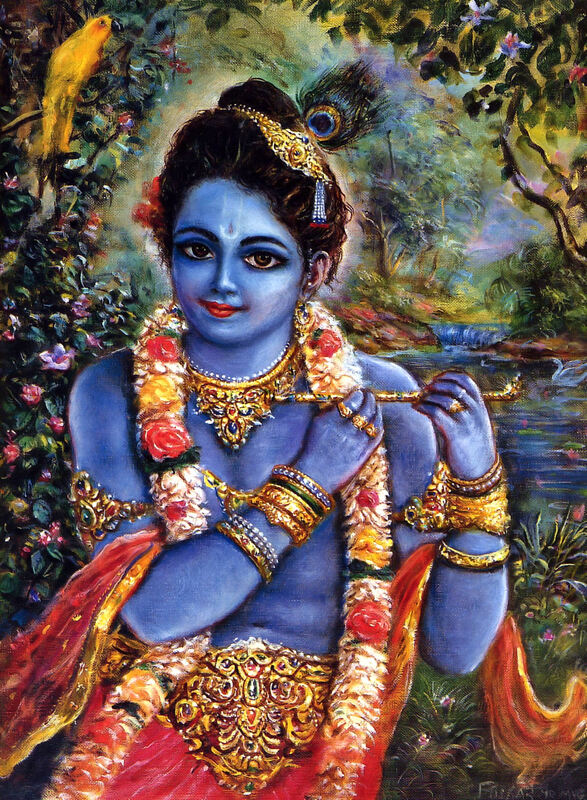 Meaning: He is the Lord of the Devas in all the three worlds. It is He who accepts the offering made to the Ishta Devatas. The devotees of Srivatsa, the mole-chested Lord, have filled the Earth with songs in His glory. Without the feeling of hatred of living in this Samsara, they are worshiping with unflinching devotion. Please come and inspire them! Meaning: The Ordainer created the Sun and moon like those of the previous cycles. The Earth (Bhu or Prithvi), the space (Bhuva or antariksham) and the area beyond space (Svah) too are His Creations only. All these are His manifestations and behold Him in them. Bhagavan gets whatever He wills and never despondent and hence He is Anirvinnah. He is Immense which He showed in his Vishwaroopam, hence called Sthavishthah. He supports and sustains the Earth, hence called Bhuh. He is the upholder of Dharma and to fulfil this responsibility He is forever United with Dharma, hence he is called Dharma-Yupah. He is the goal from the greatest sacrifices as He bestows the Ultimate fruit of all actions i.e. Moksha, so He is Mahamakhah. He is the hub of the Shimshumaara constellation, hence He is Nakshatranemih. He moves them with his centripetal force, hence He is Nakshatree. He is Kshamah as He is proficient and patient. He is Kshaamah as He is eternal and after Deluge, He alone remains. He commences the process of Creation yet again and establishes all the Devas (Indra, Brahma etc.) in their respective positions. He works towards the welfare of His Creation with great enthusiasm and is their well-wisher and hence He is called Sameehanah. I chanted it many times ‘ Nakshatranemih Nakshatri ‘ but today with the narration you have given, i was taken to new ectacy imagining the almighty as the Nucleus head of this whole Universe. Thanks for enriching our knowledge Adiyen..! Thank you Lakshminarayana ji! God bless you! Hari Om! Hari om! Beautiful explanation on the different namas and different opinions with picture perfect images. The story of Goroba is very impressing. Edu kundala vada Venkataramana Govinda, GOvinda! Thank you Lakshmi ji! May Lord Venkateswara bless your family! Hari Om! Hari Om sir! Exquisite is also an understatement to what you have narrated. I loved the first image and your stories are a highlight. I always read the story first and this one too is wonderful. *A small pasuram to express my gratitude. Thank you Aishwarya 🙂 A beautiful Pasuram from Poigai Azhwar’s Mudhal Thiruvandadhi. It conveys lovely feelings of the Azhwar. nin adiyE – only of Your divine feet. nin pugazhE pAduvan – I will sing only Your praise. pon Azhi EndhinAn – of He who is adorned with the Chakra. Everyday as I think, I think of worshiping your divine your feet alone. When I speak, I sing only in your praise. When I think of wearing anything on my head, I wear your divine feet (Thirumann Kappu). O’ Lord holding the Sudharsana Chakra, how does it matter what happens to me? Such is the devotion of the Azhwar that they are forever swimming in his thoughts and singing in his glory! Thank you for the lovely Pasuram, Aishwarya! May Lord Ranganatha bless your family! Hari Om! Pranaam Lakshmi ji! God bless you. Hari Om! Hari OM Uncle! I like the shloka from the Upanishad in sthavishthah about the Fire as head, the Sun and Moon his eyes. I did not know that he got scars from fighting with Kaaliya? How can god get hurt? 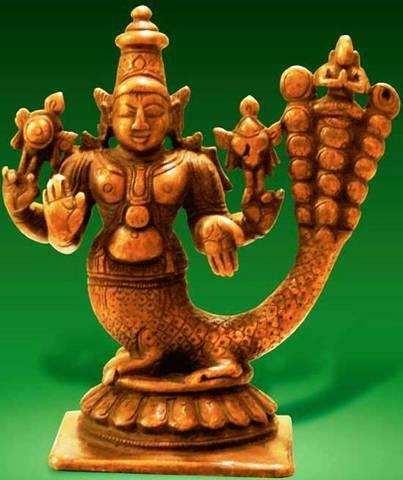 One more new thing is for the first time I am seeing God Vishnu with scorpion tail. Interesting isn’t it. The Lord gets these scars willingly to remind us of the Leelas associated with them. He has scars on his waist from the rope to remind us of the Damodhara Leela. Similarly he gets scarred on his right leg due to the violent beating from Kaliyan’s tail. These marks reminds us of his Leelas but it doesn’t hurt him one bit! Nice to see you quoting from the Bhagavad Gita (10.21)! God bless you. Hari OM!!! Thank you Uncle for clearing my doubt. Hari OM UNCLE! Hari Om Sir! Following your blog regularly sir. I thought Kshama means forgiveness. Is sanskrit so very different from Hindi. Not very familiar with sanskrit sir thats why I am asking. I hope I am not a bother. In Sanskrit there are several meanings for each word and we try to give as many relevant meanings as possible. You are not a bother; on the contrary the question shows your eagerness to know and we welcome such initiative from our readers. Thank you Nirmala ji 🙂 As Shri Balaji has explained, it has several meanings, one of which is forbearance or forgiveness. The other word that is equivalent of skill in Hindi is ‘Kshamta’. So you could apply both the meanings as the Lord is extremely skillful as well as forgiving when someone is truly remorseful. I have elaborated this aspect further. We welcome questions or doubts from our readers and no question is a dumb question. In fact some of the simplest questions are the hardest one to answer! Please feel free to express. Both Shri Balaji and I would be more than happy to clarify them. Hari Om Sir! We learn a lot through your scriptures. Most divine blog I have ever come across. Thank you sir. Thank you Shobana 🙂 I am learning a lot too while writing the commentary. Our scriptures are a vast ocean of knowledge! Absolutely divine narration. Kumbhara story is fantastic. Thank you sir. Very much. You are welcome, Tanisha 🙂 God bless you! Hari Om!